1576 Birth of Italian composer Marsilio CASENTINI in Trieste. b-Gemona, 16 JUN 1651. Son of singer Silao. Composed popular madriga Partiti e tri consola. 1668 Birth of German composer Casimir SCHWEIZELSPERG in Rosenheim, Oberbayern. 1596 Birth of cello and violin craftsman Nicola AMATI in Cremona Italy. 1712 (GC, JC=22 NOV)FP of G. F. Handel's opera Il pastor fido in London. 1721 Bach's second marriage... to Anna Magdalena Wulcken, singer, harpsichordist, and copyist, daughter of a trumpeter. She gave birth to thirteen of Bach's childen. See The Bach Family. 1724 FP of Bach's Sacred Cantata No. 62 Nun komm der Heiden Heiland on the 1st Sunday in Advent as part of second annual Sacred Cantata cycle in Leipzig 1724-25. 1729 Birth/Baptism of Spanish organist and composer Padre Antonio Francisco Javier Jose SOLER in Olot. d-El Escorial, 20 DEC 1783. 1839(GC, JC=22 NOV)FP of Handel's Ode for St. Cecilia’s Day in London. 1740(GC, JC=22 NOV)FP of Handel's opera Imeneo in London. 1750 (1760? )Death of Italian composer Roque Ceruti in Lima, Peru. b-Milan, 1683 or 1686. 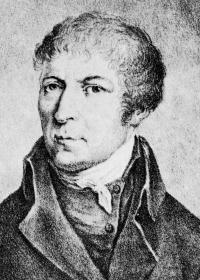 1750 Birth of German priest, organist and composer Johann Franz Xaver STERKEL in Wurzberg. d-Wurzberg, 12 OCT 1817. 1752 Birth of composer Georg-Friederich FUCHS. 1758 Birth of Bohemian priest, pianist, teacher and composer Josef GELINEK, aka Jelinek, in Seltsch. d-Vienna, 13 APR 1825. 1826 Birth of Belgian musicologist and lawyer Edmond van der STRAETEN. 1829 Birth of French soprano Delphine Ugalde in Paris. Died 19 Jul 1910, Debut as Angele in Domino Noir (Auber) 1948 Teachers:- Laure Cinti-Damoreau, Moreau-Sainti Pupils :- Marguerite Ugalde, Marie Sass Sang in premiere of Halte au Moulin (Ugalde D). 1865 Birth of German composer Gustav Uwe JENNER in Keitum, Island of Sylt. d-Marburg, AUG 1920. Search Amazon.com for Gustav Uwe JENNER . 1866 Death of composer Johann Wenzel Kalliwoda, at 65 in Karlsruhe, Germany. b-Prague, 21 FEB 1801. Search Amazon.com for Johann Wenzel Kalliwoda . 1873 The New York Oratorio Society gives it's first concert. 1881 Birth of American composer James Henry FILLMORE, Jr. d-7 DEC 1956. Son of J. H. Fillmore. 1883 Birth of Austrian composer Anton WEBERN in Vienna. d-Mittersill, accidentally shot smoking a cigar outside his daughter's home, 15 SEP 1945, by allied soldier. Poetic justice since it has been learned he helped to create music based secret code for the Nazi's. Search Amazon.com for Anton WEBERN . 1902 Birth of composer Willem Arnold de Vries ROBBE. 1906 Opening of the Manhattan Opera House by Oscar Hammerstein. With Bellini's I Puritani. 1920 (1919?) Birth of English tenor Charles Craig in London. Died 1997, Debut in Boheme (Puccini) 1953 Teachers:- Dino Borgioli, Joseph Hislop Pupils :- Nan Christie. 1922 (1921?) Birth of American soprano Phyllis CURTIN in Clarksburg WV. Debut 1946 Teachers:- Boris Goldovsky, Joseph Regneas, Olga Averino Pupils :- Kimball Wheeler, Sandford Sylvan, Anne-Maria Bogner Marcus Haddock Created Catherine Earnshaw in Wuthering Heights (Floyd) Susannah in Susannah (Floyd) Eleanor of Aquitane in Flower & Hank (Floyd) Celia in Passions of Jonathan Wade (Floyd). Search Amazon.com for Phyllis CURTIN . 1922 Birth of Scottish tenor William McAlpine in Stenhousemuir, Falkirk, Scotland. Debut as 1st Jew in Salome (Strauss) 1951 Teacher :- Joseph Hislop Pupil :- Justin Lavender, Ashley Catling Created Father Cornelius in Martin's Lie (Menotti). Search Amazon.com for William McAlpine . 1923 Legal birthdate of opera soprano Maria Callas, actually on Dec 2nd 1923 in New York Died 16 Sep 1977 Debut as Santuzza in Cavalleria Rusticana (Mascagni) 1941 Teachers:- Elvira De Hidalgo, Maria Trivella, Enza Ferrari Pupil :- Willard White. Search Amazon.com for Maria Callas . 1923 Birth of American baritone Frank Guarrera in Philadelphia, Pa. Debut as Silvio in Pagliacci (Leoncavallo) 1947 Teachers:- Richard Bonelli, Euphamia Giannini-Gregory Pupil :- Ralph Wells. Search Amazon.com for Frank Guarrera . 1925 FP of George Gershwin's Concerto in F. Gershwin pianist, with Walter Damrosh and NY Symphony Society Orchestra in Carnegie Hall. CD-Gershwin: Rhapsody in Blue - Piano Concerto in F - An American in Paris. 1926 Birth of German pianist and composer Hans Gunther Franz OTTE in Plauen. 1929 Birth of American music critic and composer Paul Harris TUROK. 1930 Death of American bass Robert Blass. Born 27 Oct 1867, New York City. 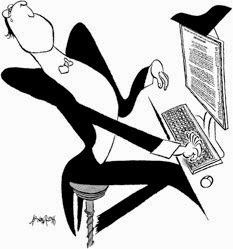 Debut as Heinrich in Lohengrin (Wagner) 3 Dec 1930 Teacher :- Julius Stockhausen Created Dogberry in Much Ado about Nothing (Stanford). 1933 Death of composer Richard Henry Warren, at 74. 1938 Birth of Urugayan conductor and composer Jose SEREBRIER in Montevideo, Uruguay. Search Amazon.com for Jose SEREBRIER . 1941 Death of Norwegian composer Johann Christian August Sinding at age 85, in Oslo. b-Kongsberg, 11 JAN 1856. Search Amazon.com for Christian Sinding . 1942 Birth of American tenor Raymond Gibbs in Tucson Arizona. Debut as Wagner in Faust (Gounod) 1966 Created Peeper Johnny in Nine Rivers from Jordan (Weisgall). 1945 Birth of American composer and choreographer Laura DEAN, Staten Island NYC. 1946 Birth of mezzo-soprano Marjana Lipovsek in Ljubljana. Created Rosa Sacchi in Schwarze Maske (Penderecki). 1948 Death of Austrian tenor Alexander Kirchner. Born 16 Mar 1876 in Vienna. Debut as Des Grieux in Manon (Massenet) 1909 Teachers:- Amalie Materna, Adolf Robinson. 1954 Death of composer Enrique Soro Barriga, at 70. 1961 Death of Latvian composer Jekabs Graubins, at 75. b-1884. 1963 FP of Aaron Copland's revised score of ballet Dance Panels in Munich. CD-The Copland Collection: Orchestral Works, 1948-1971. 1970 Death of Polish soprano Hedwig von Debicka. [real name: Jadwiga Debicka], studied singing at the Conservatory of Warsaw. Born 24 Nov 1888 in Warsaw. Debut 1910 Teacher :- Pietro Sternich De Valcrociata. 1975 Death of Bohemian mezzo-soprano Hedwig Fichtmuller. Born 1 Oct 1894, Wittingen Bohemia. Debut as Erda in Ring Cycle (Wagner) 1917 Teacher :- Richard Kogel Sang in premiere of Torneo Notturno (Malipiero). 1979 Birth of Italian composer Gianluca CANGEMI in Palermo. 1999 Death of Classical/Jazz guitarist Charlie Byrd announced. Concord records Bio. CD-Charlie Byrd Christmas Album. Search Amazon.com for Charlie Byrd . 2003 Death of American composer Meyer Kupferman at age 77. b-NYC, 3 JUL 1926. Search Amazon.com for Meyer Kupferman .